The new Design to Fit website is here! Check out our brilliant catalogue of Education and Library Furniture, the perfect range to add to your school library. 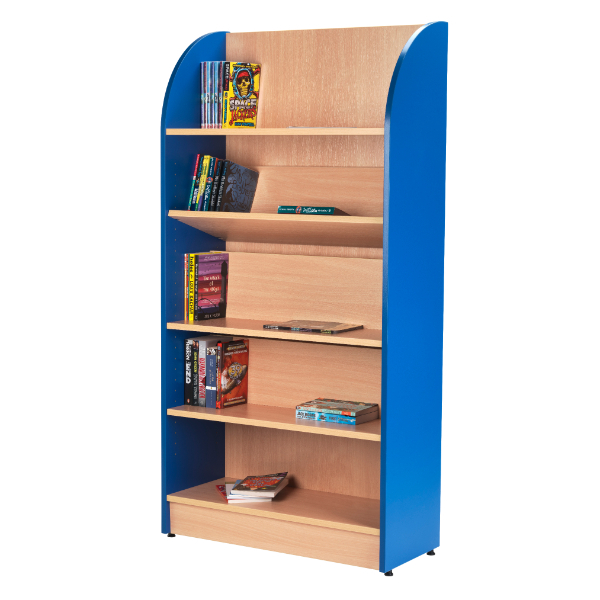 We offer ranges of Shelving, Bean Bags, Book Display units, Kinderboxes and more. Have a look at some of our other *Still to Come* Categories for inspiration. Soon we will have products available categories such as Bathrooms and Washrooms, Bifold Doors and Windows and even Custom Kitchens, Work Surfaces and Space Saving Storage Solutions. Whatever you need, we have the perfect solution. If you require a product immediately please contact us. If you require something more specific and custom built, get in touch using our Request a Quote page and see your vision become a reality through the collaboration of our designers and manufacturers. We will happily work alongside you, or your architect/designer to create a product that will suit your home or business perfectly. Whether that means creating a new custom product or adapting a current one – the possibilities for you as the client are endless! If you are a designer, there is the option for you to register a design with us. Every time your design is used, you would be rewarded by a commission. We would display you as the designer on the product’s information which in turn gives people the ability to contact you for further design work. We also would allow you to remain anonymous if requested. See our Designer Area for more details. All our products are designed and built to the highest possible quality by well-known manufacturers across the UK. We work closely with our manufacturers to bring you the latest ranges. For Custom Furniture, we work alongside our manufacturers to create the most effective design to match your specifications. All of our manufacturers use modern techniques and equipment to provide a flawless finish. Purchase with confidence knowing that your product will arrive as described. Our new website is here! Make sure to check our catalogue regularly as we will be constantly adding new products and ranges. Get in touch to request a customised quote or check out our Designer Area for more information about how you can register with us. Check out the new Design to Fit Website now! We have bundles of current possibilities and inspiration, and a lot more content still to come. Keep up to date with our posts by following us on social media.